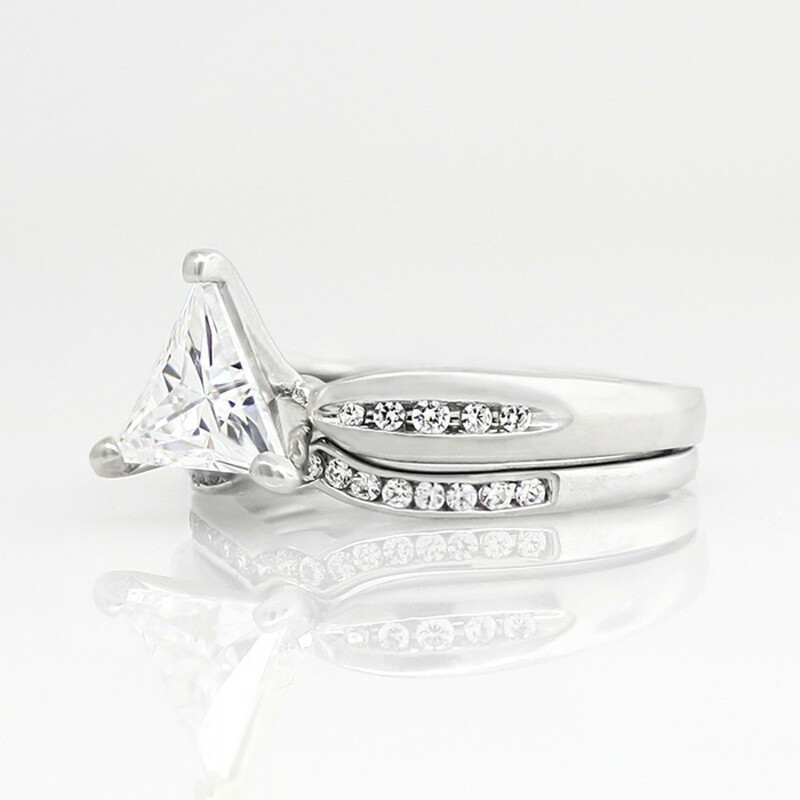 Lizzie with 1.79 carat Triangle Center and One Matching Soldered Band - 14k White Gold - RIng Size 6.75 was added to your cart. The Lizzie engagement ring has just the right balance between sparkling and sweet. 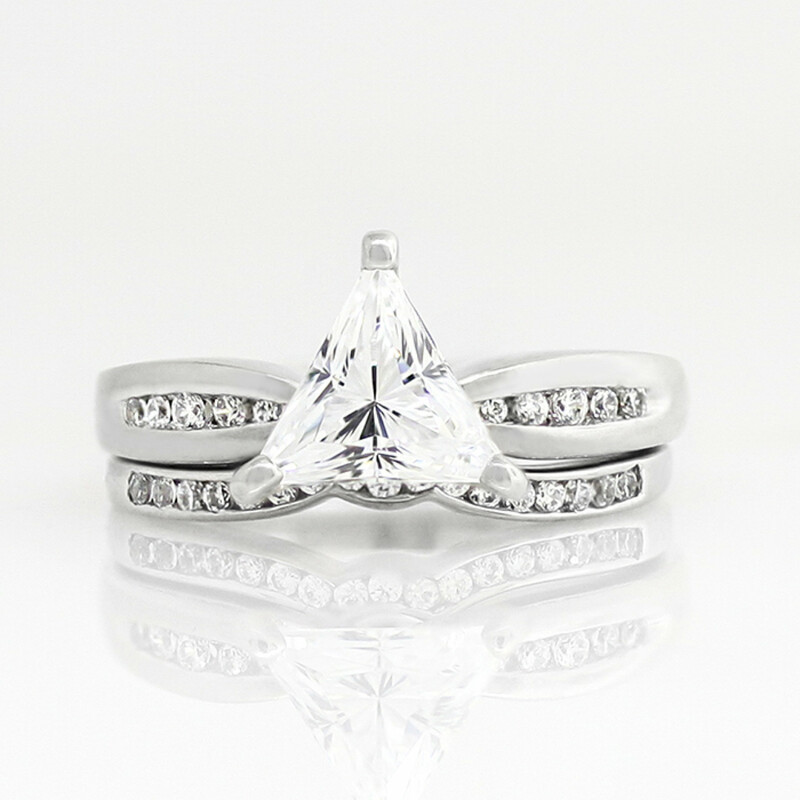 The Contemporary Nexus Diamond center stone is the main focus, with the tapered accented band subtly drawing the attention always back to the center. The smooth band is exceptionally comfortable yet solid. It is a ring that will stay in vogue for years to come. The matching, soldered band completes this bridal set.